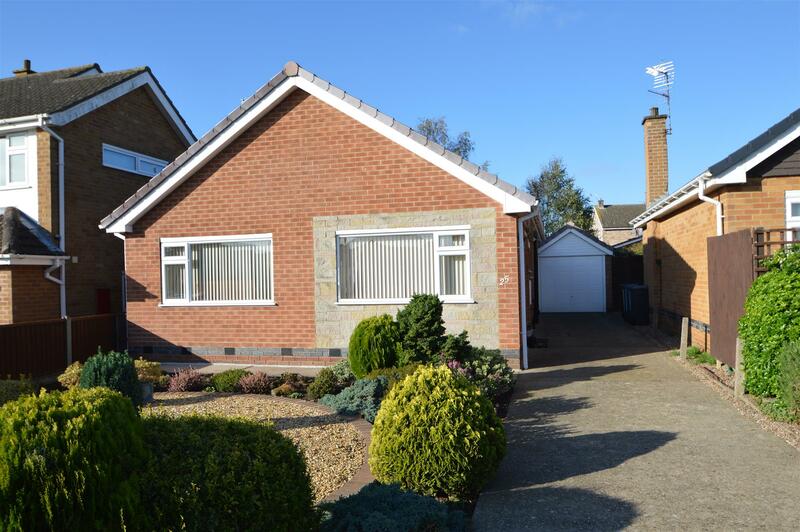 Benjamins are pleased to bring to the market this spacious two bedroom detached bungalow. This property is situated in the well-established and popular residential village of Keyworth on Crossdale Drive, convenient location and within walking distance to the local amenities including, shops, schools, sports facilities and public transport. The property comprises; Porch, Entrance Hallway, Living Room, Kitchen, bathroom, two bedrooms, garage & off road parking, fully enclosed garden to the rear. Having UPVC double glazed window to the rear aspect of the property overlooking the garden, featured fire place with surround, carpeted, coving to ceiling, radiator, ceiling light fitting. 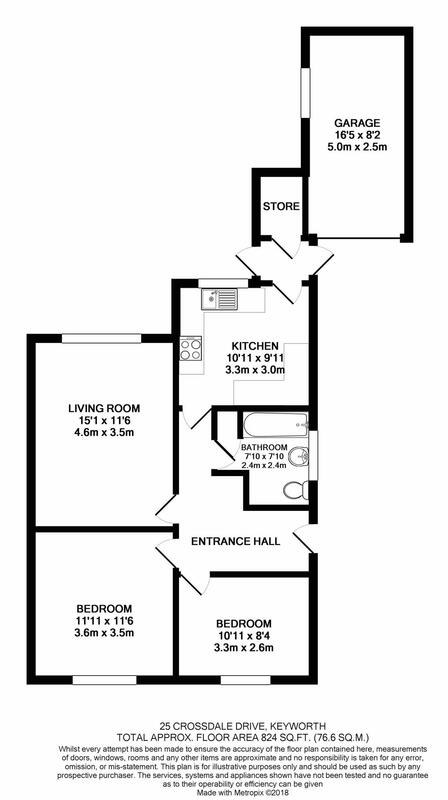 Having a range of wood wall and base units, work surfaces over, sink & drainer with mixer tap, space for gas oven, space for washing machine, space for under counter fridge/freezer, UPVC double glazed window to the rear aspect and door rear porch. Small step down from the kitchen to storage area and UPVC double glazed door left into the garden & UPVC double glazed door right onto the drive with access to garage. With a three piece white suite comprising of a bath with panel sides and shower over, hand wash basin with two taps, low level WC, radiator, fully tiled walls, storage airing cupboard housing combination boiler, two UPVC frosted double glazed windows to the side of the property. Having UPVC double glazed window to the front of the property, carpeted, pendant ceiling light, coving to ceiling, radiator. Having UPVC double glazed window to the front of the property, carpeted, pendant ceiling light, coving to ceiling, radiator with shelf above. Rear garden with patio, fence & hedge borders, gravel and mature shrubs. The front of the property is low maintenance with attractive shrubs and has parking for several vehicles on a concrete driveway leading to the garage. The local authority Rushcliffe Borough Council has advised us that the property is in council tax band D, which we are advised, currently incurs a charge of £1893.23 (2018/19) Prospective purchasers are advised to confirm this.